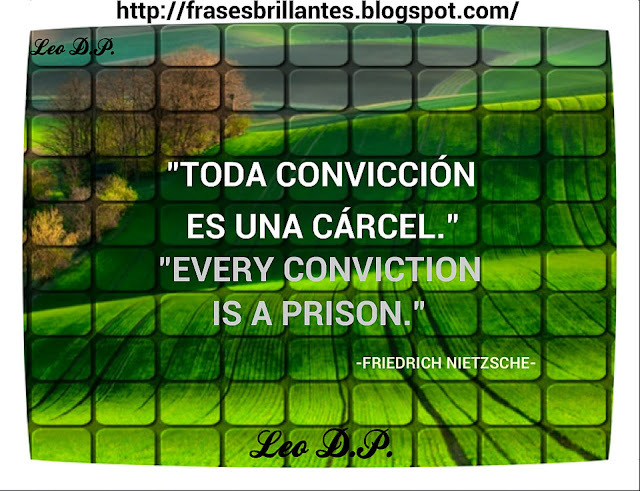 Frases Brillantes - Bright Phrases. : "TODA CONVICCIÓN ES UNA CÁRCEL." "EVERY CONVICTION IS A PRISON." "TODA CONVICCIÓN ES UNA CÁRCEL." "EVERY CONVICTION IS A PRISON." Publicado por Unknown en 11:14:00 p. m.